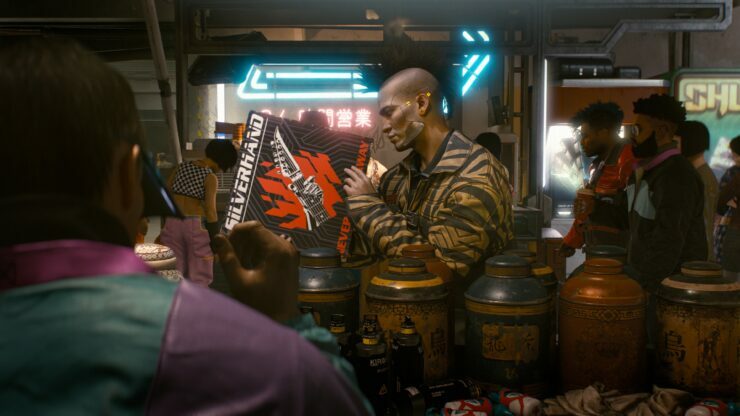 Years after its original reveal, we finally had the chance this week to see more of Cyberpunk 2077, the role-playing game by CD Projekt Red in development for PC and consoles. A few months back, it was being rumored that the game would come with multiplayer features and, while it seems this won’t be the case, there’s the chance that they will be introduced after launch. Speaking with Eurogamer at the E3 2019, CDPR’s Patrick Mills confirmed that Cyberpunk 2077 is a purely single-player game and that’s how the game will be shipped. Multiplayer, however, is currently in research and development, so there’s the chance it will come after release. So there’s no multiplayer whatsoever? Patrick Mills: We have multiplayer in R&D, but the game we’re shipping to you, the game you’re going to buy is the single-player experience. That’s really what we’re concentrating on now, the single-player RPG experience. That’s what we want to nail down before we start looking at any of these other things. So when you say you’ve got multiplayer in R&D, do you mean in relation to Cyberpunk 2077, or just generally at the studio? Patrick Mills: Maybe, no promises. Nothing at launch. At launch we’re concentrating on the single-player game. That’s what we want to give you.